Nothing says summer like fresh peaches. Their fuzzy skin and slurp inducing juiciness is so inviting you can barely stop eating them long enough to make this cocktail…. But you really should. Save just one. It’s worth it. 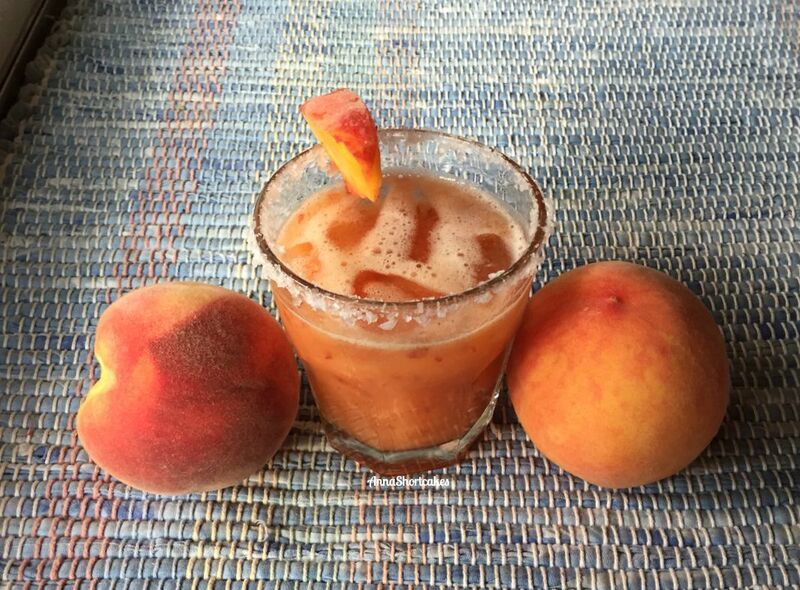 In a blender, add the peach quarters, lemonade, tequila, lime juice, and agave nectar. Blitz until the peaches are smooth. Rim the glass with salt, add ice, and pour in the margarita mix. Serves 1. I recently bought a bottle of pomegranate juice for a really good price. This recipe was the perfect use for it. 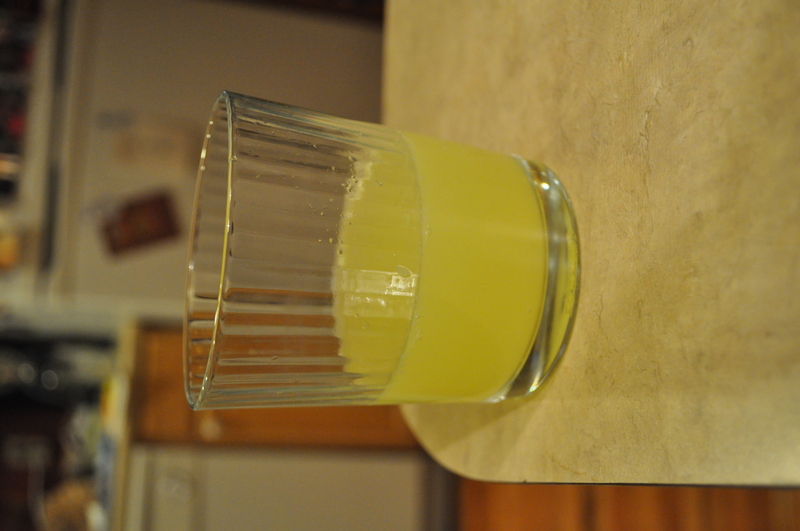 I used a bit less tequila (as I do not really love it) and was thrilled by the result. Next time you make Tex-Mex, you should make a pitcher of these. Mix all ingredients in a pitcher. Pour over ice into salt or sugar-rimmed glasses. Serve garnished with lime wedges. In a saucepan, combine the sugar and water until the sugar is completely dissolved. Allow to cool then add the lime juice. Store in a refrigerator until ready to use. I had never attempted grilled pizza before today, thought I have always heard that once you try it, you never want to go back to regular oven pizza. The rumor is true. It is fantastic! I made the margarita pizza, as well as a pizza with proscuto, spinach, mushrooms, and tomatoes. They were both very good but the margarita was better. Even the hubby, who is sparing on the compliments, said “this is really good.” Just be sure to watch your crust very closely. It will burn if you don’t keep an eye out. It’s totally worth the effort! In a glass measuring cup, warm in the microwave your favorite beer to 105 to 110 degrees. Pour in yeast, and let stand for 10 minutes to activate. In a greased large bowl, combine flour, sugar, salt, garlic, and hot pepper flakes. When proofed, add the liquid to the flour mix. Slowly work it in until it forms a ball. On a floured surface, knead the dough until smooth. Add more flour if the mix is too wet. Form into a ball and rub olive oil over the dough ball’s outer skin. Place back in the bowl, cover, and allow to rise for 1 hour. Knead again and divide into four equal dough balls. Have your grill hot and make sure you give the grates a quick brush cleaning so they are fairly clean. 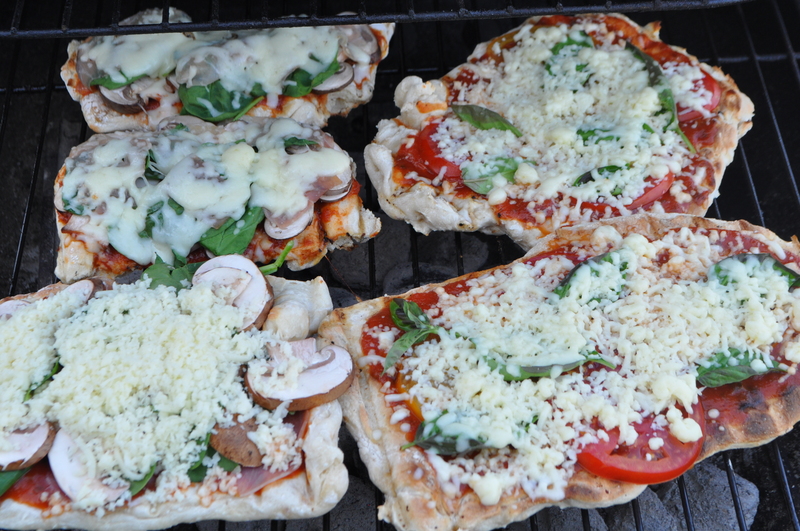 Lay out the dough on the hot grill grates and let it on for at least five minutes. Lift up the edges and see if it’s got those nice grill marks. Flip the dough over and top with your desired toppings. Close the grill lid and allow cheese to melt and the bottom of the crust to cook. Enjoy!